Oh yay, Eid Al-Fitr is just around the corner. For celebrating it this year, I decided to embrace the Indonesian culinary tradition in its entirety. “So, how do Indonesians celebrate Eid Al-Fitr from culinary perspective exactly?” I hear you ask. Well, for “Lebaran” (that’s what we call Eid Al-Fitr) where we came from typically we have a special meal of lontong (a dish made of compressed rice cake in the form of a cylinder wrapped inside a banana leaf), opor ayam (chicken cooked in coconut milk), acar (pickled cucumber), sambal goreng ati (chicken liver in chili sauce), sayur nangka (jackfruit curry), etc. And then for snacks we have all sorts of cookies – savory and sweet – so when friends and relatives came to visit for ‘silaturahim’, you’ll have something ready at the table for everyone to sample, unlike the barren table throughout the holy month of Ramadan. After a few cooking attempts, I felt like I should bake a couple more kinds of cookies, something with chocolate in it. 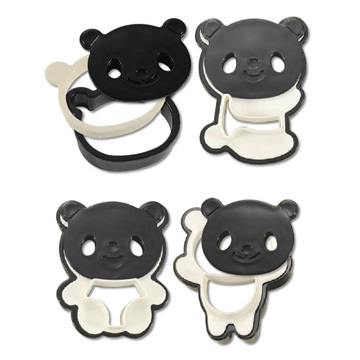 While at the baking supply stores, I also scored myself some panda cookie cutters, and I just can’t help it. 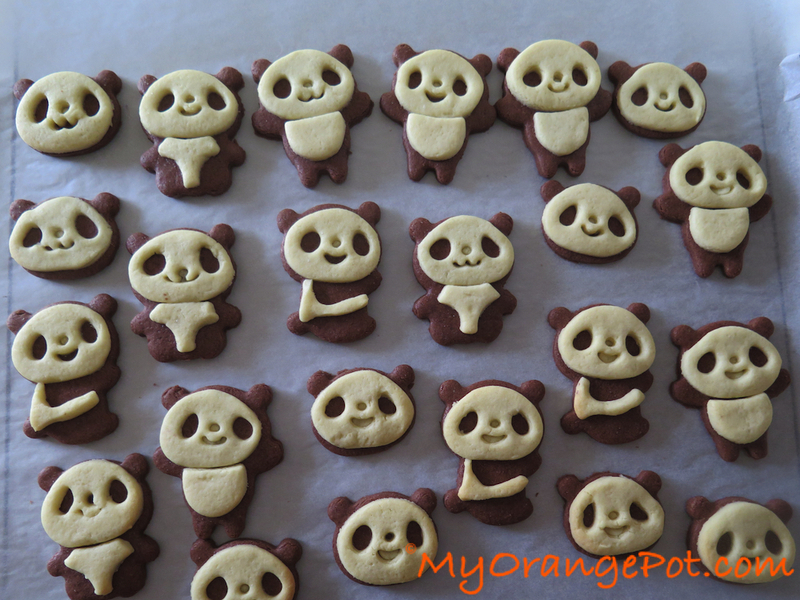 I must make those cute panda cookies and give away to my little friends at Lebaran! 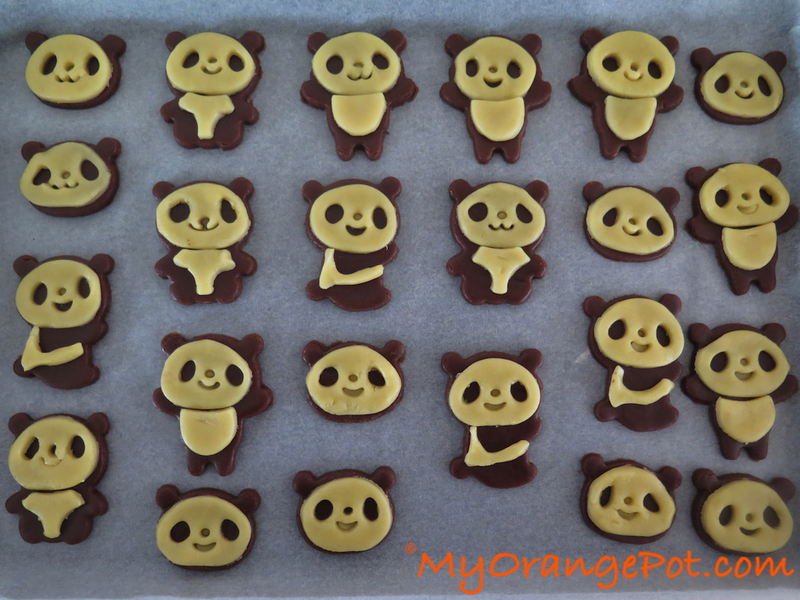 Adapted from the recipe as written on the sheet of paper that came with the panda cookie cutters. 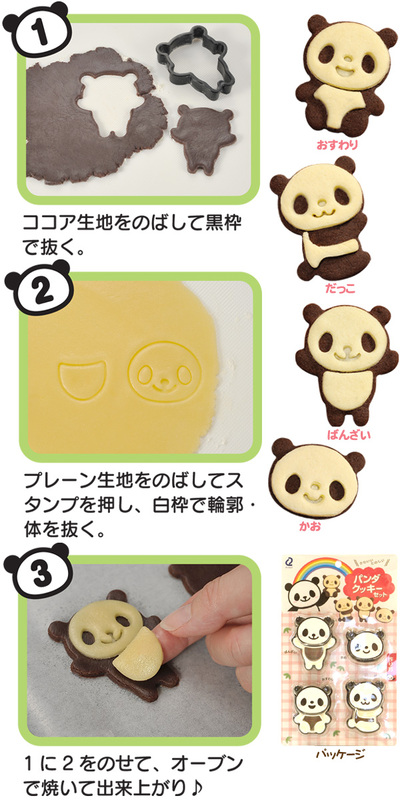 If you don’t have panda cookie cutters, then use two different sized cookie cutter and make two layered cookies. Using electric mixer, beat butter in a medium or large bowl until smooth. Add egg and beat until blended. Wrap each dough with plastic and refrigerate until well-chilled, about 30 minutes. P.s. 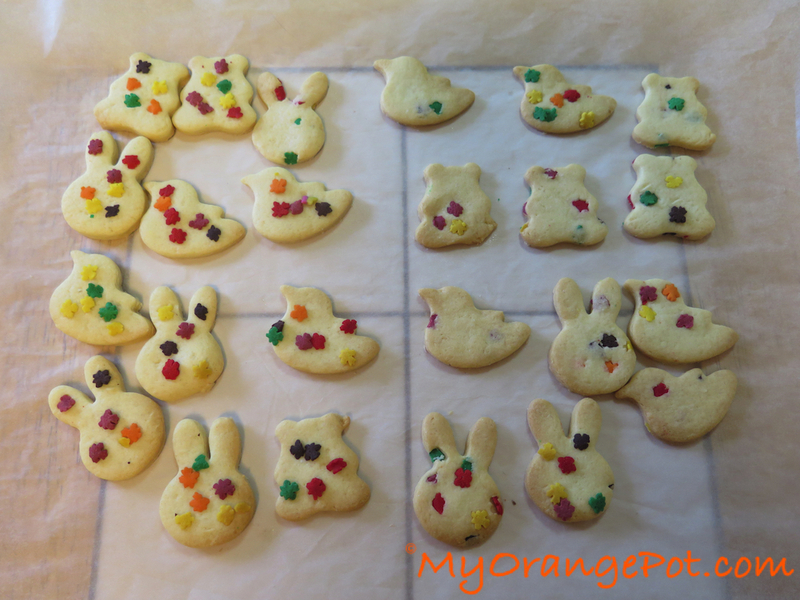 If you have any dough leftover (like I did with the white dough) – use any cookie cutter and bake! 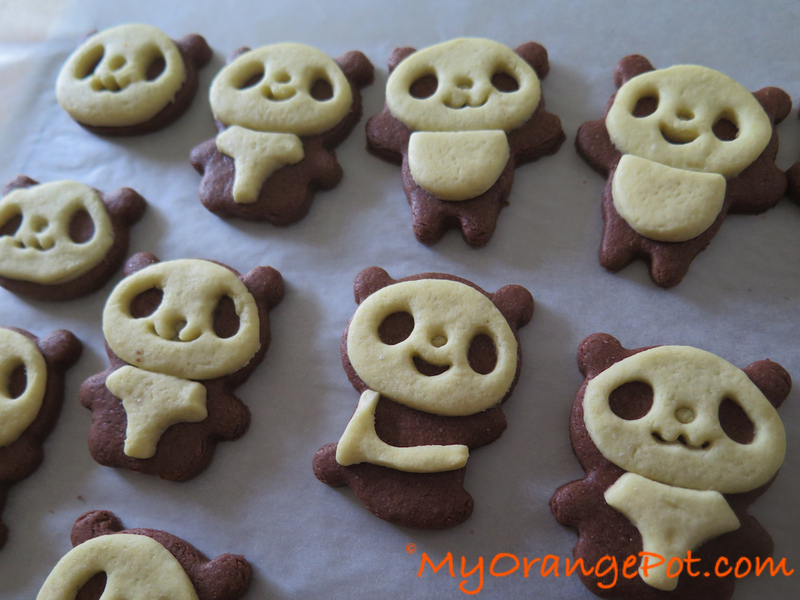 Tags: baking, Cookies, Eid Al-Fitr, Ramadan, spotlight, What's in the cookie jar? Categories: Cookies, Eid Al-Fitr, Lebaran, Recipes, What's in the cookie jar?